That's 3 times the number of adults who have diabetes! And according to a Clinical Practice Guideline released by the American Academy of Pediatrics in September 2017, 3.5% of children and adolescents in the US currently have hypertension. This is appalling. Outside of rare conditions such as pheochromocytoma and kidney failure, kids should never develop hypertension! The Framingham Heart Study revealed the risk of developing hypertension in roughly 1300 subjects 55-65 years old who did not have high blood pressure: more than half of the 55-year-olds and about two-thirds of the 65-year-olds developed hypertension within the ensuing 10 years (Vasan RS, et al. 2002). The authors concluded that "the residual lifetime risk for hypertension for middle-aged and elderly individuals is 90%." Yes, that's right: NINETY PERCENT! This is absolutely staggering. What this says is that, once you reach retirement age, you almost certainly will develop hypertension later in your life...if you haven't already. This is very ominous because hypertension increases the risk for other major medical conditions such as kidney failure, stroke, and heart disease. Why is this "epidemic" of hypertension happening? Has our medical community let us down? Clearly, health care professionals are screening for it: the results of a survey in 2000 showed that hypertension was the most common primary care diagnosis in the US with 35 million office visits (Cherry DK, et al. 2002). But when it comes to exercise counseling, physicians aren't doing as much as they should. Despite the fact that the nurse takes your blood pressure at every single office visit, how often has your own personal physician actually discussed the benefits of exercise with you? Not just in general terms, but I mean sitting down and having an honest face-to-face conversation that goes something like: "Dan, you need to exercise more. What I want you to do is walk 30-45 minutes per day five days per week, and I want you to start today." The sad fact is that most physicians don't have these discussions with their patients (Ma J, et al. 2004). Physicians aren't trained to provide exercise counseling. Further, managed care limits the amount of time physicians spend with each patient so, often, it's just easier to write a prescription and toss the patient a pamphlet. To be painfully honest, we should really blame ourselves. We simply don't take care of our health like we should. We don't exercise enough, and we eat salty, high-fat foods. Two-thirds of Americans are overweight. Following a healthy diet, losing weight, and, especially, exercising regularly not only lowers blood pressure, but, quite possibly, could prevent hypertension from ever developing. CAN REGULAR EXERCISE PREVENT HYPERTENSION? So is there any evidence that regular exercise will, in fact, prevent hypertension? The answer is yes! • Ralph Paffenbarger, MD, et al. studied Harvard alumni for many years and found that those who did not engage in regular "vigorous sports activity" were at a 35% greater risk of hypertension than those who did. This landmark Harvard alumni study found that vigorous exercise, but not light exercise, helped to reduce the risk of developing hypertension in later life. In this study, they defined "vigorous" activity as running, swimming, handball, tennis, cross-country skiing, etc. (Paffenbarger R, et al. 1983). • In Japanese men, walking for only 20 min/day successfully lowered the long-term risk of developing hypertension (Hayashi T, et al. 1999). • A more recent analysis concluded that participating in recreational physical activity for at least 4 hours per week reduced the risk of hypertension by 19% (Huai P, et al. 2013). Though it may not be protective in everyone, the odds are on your side that exercising regularly can prevent the development of hypertension. What is normal blood pressure? Actually, it’s better to ask, what is the "optimum" or "desired" BP? For some people, their "normal" blood pressure (ie., their typical day-to-day BP) may actually be too high. For many years, desirable blood pressure was considered to be 120/80 (systolic/diastolic) and treatment was instituted when BP was 140/90 or higher. However, as BP increases from 115/75 to 185/115 mm Hg, each 20/10 BP increment doubles the risk of cardiovascular events like heart attack (myocardial infarction), heart failure, stroke and kidney disease (JAMA May 21, 2003). 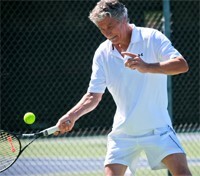 Aerobically-fit individuals typically demonstrate a lower resting BP than out-of-shape people. This is not harmful, nor unusual. The circulatory system overall improves as aerobic fitness improves: The heart is stronger. It pumps more blood per stroke. And more oxygen is extracted from the blood. Oxygen uptake is higher in an athlete than in a sedentary person. More blood ejected per beat, combined with better oxygen uptake, both contribute to a lower resting blood pressure and a slower resting heart rate. (see additional articles in the LIBRARY for separate discussions on these topics). • Aerobic exercise is generally defined as anything that requires you to move your arms and/or legs and gets your heart rate up and keeps it up for a while. Examples are numerous. It could be walking, jogging, biking, swimming, line-dancing, Zumba, etc. Basketball, soccer, volleyball, and all forms of racquet sports also qualify, though these sports entail periods of no activity. • Resistance exercise is mostly thought of as weight-lifting, but working out with stretch bands and doing push-ups, sit-ups, pull-ups, squats, etc. also qualify as resistance exercise. Isometrics is another type of resistance exercise. The most amount of weight you can lift one time is your "1-RM" for that muscle group. Note that this amount differs for each muscle group. For example, 100-lbs might be the most you can bench-press once, but your 1-RM for the leg-press might be 200-lbs. Studies of how exercise can affect hypertension have been conducted since the 1970s and reviews of these studies (meta-analyses) have been published. But first, let's make a distinction between the immediate effects of a single exercise session on blood pressure vs. the long-term effects of regular exercise on hypertension. During aerobic exercise, heart rate increases dramatically, but blood pressure typically remains fairly stable. However, when aerobic exercise ends abruptly, say, after a long run, blood pressure can drop noticeably. This is thought to be due to pooling of blood in the legs (ie., less blood return to the heart). This explains why some runners feel light-headed right after the end of a hard run. Avoid standing still or sitting down immediately after a long run, bike ride, or tennis match, especially if you've perspired heavily. Continue to walk around for several minutes. The massaging action of your leg muscles will help maintain blood return to the heart. If you still feel lightheaded, lie on your back and elevate your feet. Eat something salty. Sodium helps your circulatory system hold on to fluids and this, in turn, helps to maintain blood pressure. When weight-lifting is intense (ie., 85-100% of maximum), BP can spike to astronomical readings. For example, pressures as high as 480/350 have been documented in the brachial artery of a body-builder during a leg-press exercise (MacDougall JD, et al. 1985). Blood pressures this high, even though they are brief, are worrisome. What does this do to your heart and your blood vessels? Obviously, a rapid heart rate stresses the heart. But, so does an elevated blood pressure. Aerobic exercise and resistance exercise both challenge the heart, but for different reasons: During aerobic exercise, heart rate increases dramatically, while blood pressure increases only slightly. The opposite pattern occurs during resistance exercise: blood pressure shoots way up, but heart rate increases less than during aerobic exercise. To compare these 2 forms of exercise, something called the "rate-pressure product" [ie., (heart rate) x (blood pressure)] can be used. In some scenarios, demands on the heart can be greater for aerobic exercise than for resistance exercise (Stewart KJ. 2000). Maintaining your aerobic fitness provides a variety of benefits for your blood vessels: the diameter of coronary arteries increases, the general effects of atherosclerosis are counteracted, and the ability of all arteries to dilate (ie., expand) improves. This is called "increased vascular compliance" and it improves throughout the arterial circulation when you perform aerobic exercise regularly. For example, the compliance of carotid arteries was better in runners and swimmers compared to people who are sedentary (Nualnim N, et al. 2011). In one study of older men with hypertension, a 12-week swimming program reduced systolic blood pressure by 9 points and improved arterial compliance by 21% (Nualnim N, et al. 2012). These are the physiologic and health improvements you want! However, in another study of older men, a walking/running program (5 times per week for 3 months) restored the ability of arteries to dilate even though, curiously, no changes were seen in blood pressure after 3 months (DeSouza CA, et al. 2000). Clearly, aerobic exercise is good for your blood vessels even if the improvements can't be detected by routine blood pressure monitoring! Young men who performed weight-training for at least 12 months -- but engaged in no aerobic exercise -- had arterial compliance values that were 26% lower than sedentary men (Bertovic DA, et al. 1999). In another study of men who participated in intense resistance training for more than 2 years, arterial compliance was 30% lower (Miyachi M, et al. 2003). And in a 3rd study, when vascular compliance was measured in men before and after a 4-month resistance-training program, it was found that it decreased by 20%...after just 2 months (Miyachi M, et al. 2004). What's happening here is that the walls of your arteries are responding to the extremely high pressures that occur during weight-lifting. The body is making the artery walls stronger, but, in the process, they also become stiffer. Although it is a protective response, it's an undesirable one because arteries need to be flexible so that they can expand and contract when necessary. This research suggests that vascular compliance improves with aerobic exercise but may worsen with resistance exercise. And more worrisome, changes in vascular compliance are not always detected by changes in blood pressure. It's important to know what exercise can do to your blood vessels because (a) your physician can't measure vascular compliance during an office visit, and (b) worsening vascular compliance isn't detected by monitoring blood pressure. Further, newer research is showing that resistance exercise might be more effective in managing hypertension than previously thought. This is causing some experts to now say that resistance exercise is effective "by itself" whereas in the past, it was considered secondary in importance to aerobic exercise. So, how can you design an exercise program that isn't detrimental to your vascular compliance? Certainly, the answer is not to totally avoid doing any resistance exercise. Everyone -- especially the elderly -- needs to do some resistance exercise to maintain bone density, muscle strength, and muscle size. 1) If resistance exercise is the only type of exercise you perform, keep the intensity < 70% of your 1-RM. It appears that resistance exercise produces undesirable effects on vascular compliance when the amount of weight lifted is large (Seals DR, et al. 2008). In a review of 8 studies, it was found that arterial compliance worsened when subjects worked out at 1-RM intensities of 70% or greater, but no changes in arterial compliance were seen when the amount of weight was kept at a more modest 40-70% of maximum effort (Miyachi M. 2013). In one study of 35 elderly men in Korea, vascular compliance actually improved (albeit just slightly) after weight-training. Yes, these men trained 5 times per week for a year, but the intensity was not high: the resistance was 60% of their maximum ability. After all, these were old guys! (Kim H-S, et al. 2013). The American Heart Association is even more conservative: For people with hypertension, they recommend limiting the resistance to 30-60% of maximum ability. So, for example, if you can only bench-press 100-lbs once (ie., your 1-RM maximum for that exercise), then, you should do bench-press exercises with 30-60-lbs. Likewise, if you can only leg-press 200-lbs once, then you should do that exercise with 60-120-lbs. 2) Don't do more than 1 or 2 sets. 3) If you lift more than 70% of your 1-RM, make sure you include aerobic exercise in your weekly routine. Miyachi and Tanaka also showed that working out with 80% of your maximum did NOT worsen vascular compliance if aerobic exercise was performed regularly. In this study, 3 sets of 80% maximum were used for each exercise, so this was a fairly intense resistance-training regimen. But the inclusion of aerobic exercise 3 times per week offset any detrimental effects on vascular compliance (Kawano H, et al. 2006). Resistance exercise does not have to be avoided by people with hypertension. But, if you like resistance exercise, limit your weight-lifting to low or moderate amounts of weight. In addition, make sure to also perform some type of aerobic exercise regularly, too. However, if you have hypertension and choose to do only one type of exercise, aerobic exercise is preferred. Until just recently, the consensus was that aerobic forms of exercise are more beneficial for hypertension than resistance exercise. In 2002, an extensive review showed that aerobic exercise lowered BP not only in hypertensive patients, but also in normotensive patients, overweight subjects, and normal weight subjects. The average drop in blood pressure was 3.9/2.6 (systolic/diastolic) points. When only hypertensive patients were analyzed, the average drop was 4.9/3.7 (Whelton SP, et al. 2002). A Japanese study was even more impressive: aerobic exercise lowered BP by as much as 20/10 (systolic/diastolic) after 20 weeks (Kiyonaga A, et al. 1985). In a study from the University of Florida, running 2 miles/day every day for 3 months lowered blood pressure in 101 out of 105 patients with hypertension (Cade R, et al. 1984). In a study from Germany, 10 middle-aged men participated in a running program for 3 years. They jogged (target HR was 60-70% of age-adjusted maximum) 60 minutes per day, twice weekly. After 3 years, systolic BP had decreased 16 points and diastolic BP had decreased 15 points (Ketelhut RG, et al. 2004). This is a better response than some BP drugs produce! In the HERITAGE Family study, subjects rode an exercise bike 3 days per week for 20 weeks. The intensity started at "moderate" exercise (55% VO2max) for 30 minutes and increased to "vigorous" exercise (75% VO2max) for 50 minutes during the study. At the conclusion, blood pressure wasn't reduced very much (the drop was less than 1 point for both systolic and diastolic). However, this doesn't suggest that cycling is ineffective for lowering blood pressure. In this study, the initial BP of the subjects was not substantially elevated and this was felt to be the explanation for the relatively minor response (Wilmore JH, et al. 2001). A study from Japan showed that riding an exercise bike at a moderate intensity (50% of VO2max) for 60 minutes, 3 times a week for 20 weeks produced a drop in blood pressure of more than 20/10 (systolic/diastolic) in several subjects (Kiyonaga A, et al. 1985). That's very impressive! Swimming is an ideal cardiovascular exercise for people with knee pain or hip problems, or others who have trouble with walking or jogging. There's not much research evaluating how effective swimming is for lowering blood pressure in people with hypertension, but a study from the University of Texas at Austin suggests it's pretty good. Adults 50 yrs and older who had hypertension and were not taking any BP medications were put on a swimming program. After 12 weeks, systolic BP had decreased by 9 points and carotid artery compliance had improved by 21% (Nualnim N, et al. 2012). HOW VIGOROUS SHOULD AEROBIC EXERCISE BE? For preventing hypertension from developing as we age, Paffenbarger's Harvard Alumni Study showed that vigorous aerobic exercise was more effective than moderate exercise. But what if you already have hypertension? Is vigorous aerobic exercise necessary here, too? In one study, overweight, sedentary subjects underwent 45 minutes of aerobic exercise at 70-85% of their personal heart rate reserve. The aerobic activity was either biking, jogging, or walking, and this was performed 3-4 times per week for 6 months. At the end of the study, this exercise program lowered both systolic and diastolic BP by 6 points (Georgiades A, et al. 2000). This is a very good response, but exercising at 70-85% of heart rate reserve is tough for some people. How effective is less vigorous exercise? • In one study of post-menopausal women, walking 3-km/day for 24 weeks lowered systolic BP by 6 points (Moreau KL, et al. 2001). In summary, all types of aerobic exercise are beneficial for hypertension. As I've mentioned, research has generally shown that aerobic forms of exercise can lower blood pressure more than resistance exercise (Pescatello LS, et al. 2015). But, in 2012, researchers from Brazil reported that a 12-week training regimen utilizing resistance at 60% of maximum (ie., 60% of 1-RM) lowered systolic blood pressure by 16 points and lowered diastolic blood pressure by 12 points (Moraes MR, et al. 2012). This is a much better response than previously reported. One weakness of this study, however, was that only 15 men were studied. In 2016, an extensive review of published research confirmed the earlier Brazil study. These reviewers concluded that resistance exercise can lower blood pressure as much as aerobic exercise, and perhaps do it better (MacDonald HV, et al. 2016). Then, in 2017, a smaller review showed that resistance exercise alone (ie., without concomitant aerobic exercise) lowered systolic BP by 8 points and lowered diastolic BP by 4 points (de Sousa EC, et al. 2017). That's pretty good! • Running: Paul Williams, PhD, reported that the need for blood pressure medications went down in runners as (a) their weekly distance increased and (b) their cardiovascular fitness improved (Williams PT, et al. 2007). In the University of Florida study, a daily running program made it possible for 24 out of 105 patients to completely discontinue their need for blood pressure medications (Cade R, et al. 1984). 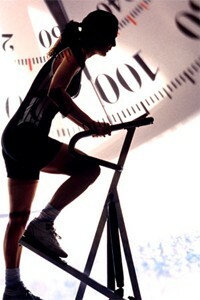 • Stationary Cycling: An exercise program was evaluated in hemodialysis patients. Patients rode a stationary bike during dialysis. Initially, the average length of an exercise session was 17 minutes, but, gradually, these patients worked up to 45 minutes per session. After 6 months, half of the patients were able to reduce their need for BP medications. The researchers determined an overall reduction of 36% in the use of medications for high blood pressure which yielded a drug therapy costs savings of $885/year per patient (Miller BW, et al. 2002). This is impressive because it is often difficult to control blood pressure in patients with kidney disease. • Walking: Paul Williams, PhD, also studied walkers. Here, he found that as walking distance and walking speed increased, again, the need for blood pressure medications decreased (Williams PT. 2008). Even though the first report of exercise being effective for hypertension appeared in 1973 (Sannerstedt R, et al. 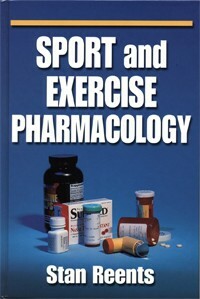 1973), only recently has the idea of "prescribing" exercise as a treatment for some health conditions received attention by the medical community. "regular aerobic physical activity such as brisk walking at least 30 min/day on most days of the week". The recommended exercise "prescription" for hypertension consists of the following 4 elements, represented by the acronym "FITT": frequency, intensity, time, and type. Frequency: exercise should occur on most, preferably all, days of the week. Intensity: exercise intensity should be moderate (ie., 40-60% of VO2max). Time: duration of exercise should be at least 30 minutes per day; this can be achieved in one continuous session, or, a sum total of smaller periods of exercise throughout the day. Type: endurance (aerobic) exercise is preferred, but resistance exercise should not be ignored. walk briskly for 30-45 minutes per day, 5-7 days per week. So, for more than 15 years, the focus has been on aerobic exercise as the most effective form of exercise for hypertension. And, the "official" exercise recommendations from ACSM reflect that. But, those recommendations were published in 2004. As I've summarized above, more recent research now shows that resistance exercise can be just as effective as aerobic exercise for people with hypertension. Linda Pescatello, PhD, is one of those experts. She was the lead author on ACSM's 2004 guidelines. In 2015, she and colleagues published a paper titled "Exercise for Hypertension: A Prescription Update Integrating Existing Recommendations with Emerging Research." In this paper, they still recommend aerobic exercise, but also say that resistance exercise should be performed 2-3 days per week (Pescatello L, et al. 2015). The American College of Sports Medicine has begun the process of updating their 2004 "Position Statement" on exercise recommendations for hypertension. However, it is not expected to be available until 2019 (per Lynette Craft, PhD, Chief Science Officer, ACSM, personal communication September 25, 2017). I've summarized a lot of research here. Until ACSM releases its updated recommendations in 2019, what type of exercise is best for people with hypertension? The short answer is: pretty much any type of "aerobic" exercise will be beneficial. Aerobic exercise should be emphasized, with some resistance exercise included. An extensive review of the literature (54 studies) suggested that both aerobic exercise and resistance exercise can be beneficial in hypertension (Whelton SP, et al. 2002). A combination of aerobic exercise (eg., 45 minutes of treadmill, stationary cycling, or stair-stepper exercise) with 7 different weight-lifting exercises 3 days per week was evaluated in elderly subjects (ages 55-75 yrs). This regimen produced a modest (2.2 mmHg) drop in diastolic BP after 6 months (Stewart KJ, et al. 2005). This drop in BP may not seem like much. However, combining resistance exercise with aerobic exercise will provide health benefits beyond simply lowering blood pressure. For example, weight-lifting will increase bone density and may help with posture and activities of daily living. Even though exercise can be very effective in managing hypertension, do not begin a new exercise program without checking with your personal physician, especially if you have any form of cardiovascular disease. Further, if you are currently taking medication to lower your blood pressure, generally, you should avoid strenuous exercise until the drug therapy has brought your blood pressure into a more normal range. This is very important if you are older, or, if your blood pressure is very high. And if you develop chest pain during exercise, stop immediately! 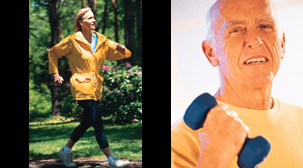 Exercise may make it possible for you to reduce or eliminate any need for BP drugs. Having said that, many physicians are not well-versed on the issues that may arise regarding exercising while taking blood pressure medications. One reason is because how drugs and exercise interact is largely unknown. The topic of exercising while taking drug therapy for hypertension is too complex to review here. Keep in mind that there are over 200 unique prescription drugs for the treatment of hypertension on the US market. Even reviewing them categorically (eg., diuretics, beta-blockers, ACE inhibitors, calcium-channel blockers, etc.) would be a lengthy discussion. However, one issue worth noting is that beta-blockers are often not a good choice for exercisers due to their interference with energy utilization and inhibitory effects on exercise heart rate (Reents S, 2000). Some clinicians feel that beta-blockers should be the last choice for patients who wish to exercise (Houston MC. 1992). Q: Dietary changes vs. exercise: which is more effective for lowering blood pressure in hypertension? ANSWER: Diet and exercise are often lumped together by the medical community. But, which is more effective for hypertension? First, let's make a distinction between "diet modification" and "dieting". "Diet modification" is represented by changes to the diet (such as restricting sodium) without trying to lose weight. "Dieting", of course, means reducing calorie intake in order to achieve weight loss. • Dietary Modification: For years, physicians have instructed their patients with hypertension to limit their intake of salt/salty foods. Official recommendations such as the Dietary Guidelines for Americans state that sodium intake should be limited to: "not more than 2300 mg/day in healthy adults; not more than 1500 mg/day in patients with hypertension". However, this strategy doesn't lower BP very much. In one study, the drop in BP (systolic/diastolic) was only 1.7/0.9 (JAMA 1992), and in a review of 13 other studies, the average drop was only 3.6/2.0 (Grobbee DE, et al. 1986). Nevertheless, even small drops in systolic BP are still significant because the risk of stroke and heart disease are reduced when large populations are studied. Also, black patients with hypertension should limit their intake of sodium as they seem to be more sensitive to its effects. In general, it's wise to reduce salt intake if you have hypertension. But when you have perspired heavily over several hours, you need to make sure you take-in enough sodium. This is an entirely different topic and is discussed in "Why Sports Nutrition Is Different". It turns out that the ratio of sodium to potassium in your diet may be more important than simply reducing your sodium intake (Cook NR, et al. 2009). This is likely one reason why a diet high in fruits and vegetables can lower blood pressure. The DASH diet, the Portfolio diet, the Nutritarian diet, and the Mediterranean diet have all been shown to be useful in lowering blood pressure. All 4 of these diets are plant-based diets. In fact, there's evidence that, the more you exercise, the less you need to be concerned about reducing your sodium consumption! (Rebholz CM, et al. 2012). • Dieting (ie., weight loss): Simply losing weight helps to lower BP in many patients with hypertension. Weight loss has been shown to be more effective in lowering blood pressure than a variety of dietary modifications (JAMA 1992). In fact, some researchers believe that controlling obesity might alleviate as much as 48% of the hypertension in whites and 28% of the hypertension in blacks (El-Atat F, et al. 2003). So, when comparing diet vs. exercise for the management of hypertension, the best approach is a combination of: (a) proper diet (salt and calorie restriction, ample consumption of fruits and vegetables), (b) weight loss, and (c) regular exercise. Dieting is beneficial if weight is lost, since, treating obesity helps to lower blood pressure. However, dieting does not strengthen the heart, lungs, muscles, and bones; only exercise can do this. To have a beneficial effect on lowering your blood pressure, the best strategy is the combination of exercise, diet, and, if you are overweight, weight-loss. Regarding exercise, you don't have to endure punishing amounts. Plain old walking is good enough to attain a blood-pressure-lowering effect. Even cutting the grass, if you use a push mower, qualifies. • First, if you have high blood pressure, or any form of cardiovascular disease, do NOT engage in strenuous exercise without being evaluated by your physician. • Emphasize aerobic exercise, though, once your blood pressure is under control, don't ignore resistance exercise. • While "vigorous" aerobic exercise might be better, moderate aerobic exercise is effective, too. Walking and riding a bike can produce a beneficial lowering of blood pressure. For older adults, especially those with knee and hip problems, swimming is a great choice. • If you are overweight or obese, lose that weight. • Consume a plant-based diet. Some people with hypertension may not be able to reduce their blood pressure enough with aerobic exercise alone. Combining aerobic exercise with a plant-based diet may be more effective. Hypertension is a disease that generally persists for life. But, evidence shows that regular exercise, combined with weight loss (if you are overweight), and limiting your intake of salty foods can help to lower an elevated blood pressure. Further, exercise improves other cardiovascular problems, too (Stewart KJ. 2002). More importantly, these lifestyle elements may actually prevent hypertension from ever developing in the first place. So, get out there! American Heart Association www.AmericanHeart.org: This site contains good information on hypertension and other cardiovascular diseases. Centers for Disease Control and Prevention (CDC) www.CDC.gov: There is a ton of useful public health information on this site. National Heart, Lung, and Blood Institute www.nhlbi.nih.gov: The National Heart, Lung, and Blood Institute is a division of Health and Human Services. This site contains a lot of useful information on hypertension. The NHLBI also coordinates the National High Blood Pressure Education Program, which originated in 1972. 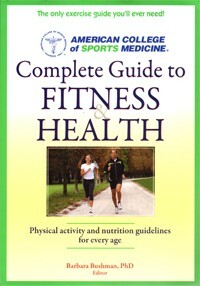 The American College of Sports Medicine has published Complete Guide to Fitness & Health. Chapter 15 covers High Blood Pressure.